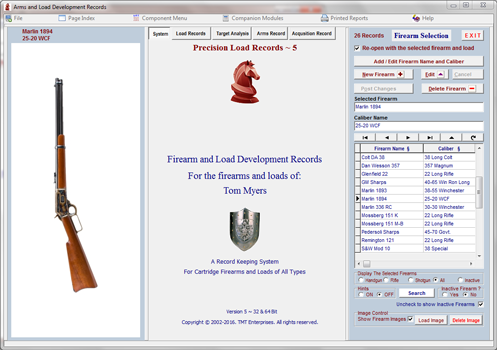 This module is capable of recording the measurements and calculation results of bullets used in current reloading or firing test operations in retreivable records that are then stored in a an Active Bullet database. 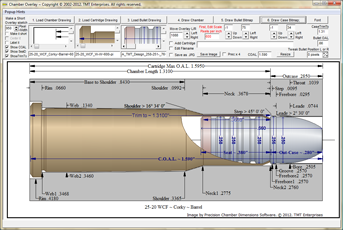 In addition to the physical measurements of the bullets, this module has the ability to store and retrieve digital images or sketches of the bullets. Note - this module does not produce the bullet images. 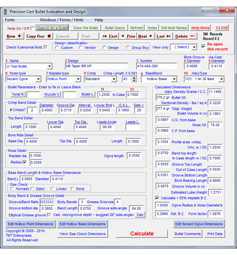 However the images may be constructed using the Precision Cast Bullet Design Software that is available for purchase and download. 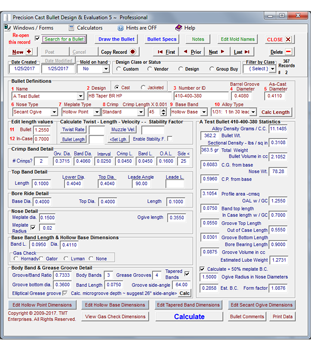 Or the images may be photographed or drawn seperately and then stored in the bullet databases The images are for reference purposes only, and are not required to calculate a Ballistic Coefficient.